Launch into action and adventure in the world of Star Wars! Discover the exciting stories of good versus evil in the galaxy. Intent on eliminating the scattered survivors of the Jedi Order, Darth Vader ruthlessly hunts them down across the galaxy. Anakin Skywalker's apprentice Ahsoka Tano left the Jedi Order before it was destroyed during the Great Jedi Purge, but the truth of her fate remains unknown. Paypal is our preferred method of payment, however we do also accept Postal Orders & Cheques. If you wish to pay using either of these methods then please contact us so that we can give you the relevant information. Our Terms & Conditions can be found at the bottom of the listing page. If you'd like to know more about us, then please visit our Ebay shop homepage. If you'd like to contact us then please use the link on the left under the useful information heading. 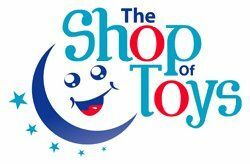 Copyright © 2015 The Shop Of Toys -- The Shop Of Toys Is A Registered Trademark.